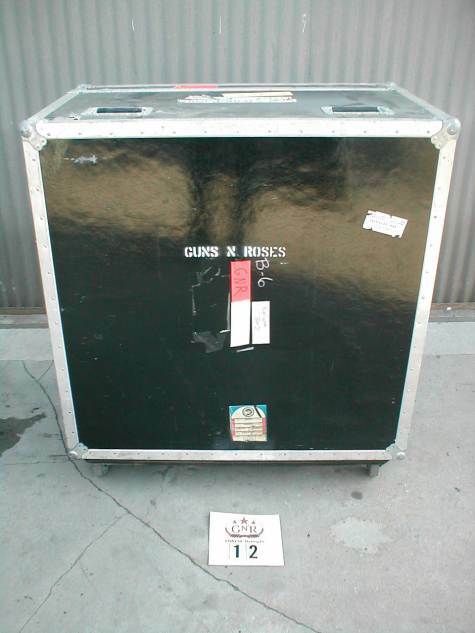 Guns N’ Roses fans can own a piece of music history as the band is now selling used tour gear on eBay. Northwest Ohio reports the equipment comes from the depths of the band's warehouse in Santa Monica, CA. The touring crew has handpicked items to make room for new gear as the Gunners prepare for upcoming shows. Items will be listed at random over the next several weeks under the eBay seller name "dvamp2u." Some items currently up for auction include custom bass and electric guitars, banners, road cases, wireless microphone monitors and mixing boards. Buyers must pay for shipping and autograph requests will not be honored. Check out GNR on eBay here. This past week, it was announced that Guns N’ Roses are among the artists that will join Neil Young for his annual Bridge School Benefit Concert. The 2012 event takes place on October 20 at 5pm and October 21 2012 at 2pm at the Shoreline Amphitheatre in Mountain View, California. Guns N’ Roses launch their first-ever residency in Las Vegas on October 31; the band will perform a series of 12 shows at The Joint inside Hard Rock Hotel & Casino.